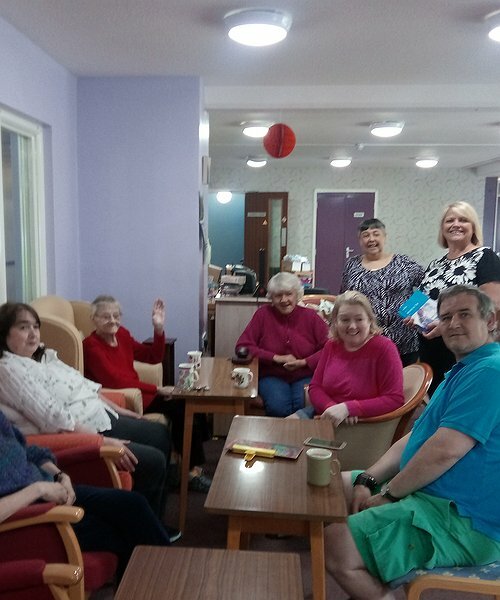 Residents at a Clwyd Alyn Housing Association sheltered housing scheme in Buckley were given energy saving advice recently thanks to a visit from one of the Association’s regeneration and development partners. Liz McCloskey, Senior Community Engagement Officer, Mark Drinkwater, Building Surveyor, and Nicki Sorton, Community Engagement Coordinator, from ENGIE called in to Nant Mawr Court in Buckley recently to run an energy advice session for residents. “We’d like thank the ENGIE team for providing a great session, and also thank Scheme Warden Anita Vale for her warm welcome and for helping with all the arrangements,” added Louise. "Community support for Chirk Care Home"
"Open Day celebrations at Colwyn Bay Care Home"